Planning a business relocation in MA is no small feat. There are so many things to do when making plans, such as taking care of utilities, advising employees and customers about the move, making sure that the commercial moving company takes care of everything as promised – it’s enough to make business owners just want to avoid it all together. One way to make the move so much easier is to work with a reputable, trusted resource in the form of moving companies in Massachusetts. You want to make sure that the company you hire has experience working with commercial businesses and not just residential relocations. You also want to make sure that they have commercial storage in MA and other resources that you can use to increase your advantage. If you have any specialty, sensitive or high-value equipment that you need to move, you also need to know that they can take care of it properly as part of your relocation. So before you just hire the first company name that pops in your head, make sure to take time to interview moving company in Massachusetts, and the surrounding area, to make sure they can offer everything you need. When planning a business relocation in MA, it pays to be patient and take your time finding the best possible company to get the job done. Choose a company that also has a warehouse storage in Pocasset to take care of any items that won’t fit at the new location or that you need to store on a temporary or long-term basis to help facilitate your move. Question #1 – How is Cost Determined? When you contact Plymouth Rock Moving & Storage to give you an estimate on the cost of your move, it is important to know how those rates are determined. Is it based on the weight of your items or the amount of space required to move them all to the new location? Do they figure in how far you need to move, such as moving to a new building across town or relocating to another state? Will costs be included for insurance, packing, and supplies or commercial storage in MA if you need it? Question #2 – How Accurate is the Estimate? One of the most important things when planning a business relocation in MA is to get an accurate estimate that includes all of your anticipated moving costs. Whether your company decides to utilize our warehouse storage in Pocasset or if the entire move will be done on the same day, we make sure that all of the associated costs are included in the accurate estimate that we provide. Plymouth Rock Moving & Storage employs a team of knowledgeable and experienced moving consultants who will meet with you at your office so they can take a visual inventory of everything that needs to be moved. Question #3 – How Will Our Assets Get Moved? We use a variety of commercial trucks to help with business relocation in MA, based on the amount of furniture, equipment, and assets that each client needs to get moved. Through our association with Mayflower Transit, Inc. and UniGroup Worldwide for our commercial moving logistics, we are able to provide unique solutions for many high profile clients across many different industries. We use a variety of vehicles, including air-ride suspension moving vans with hydraulic lift gates, and other specialty equipment for high value, sensitive assets, such as radiology and medical equipment. Question #4 – Are Packing Services Available? As one of the top moving companies in Pocasset, Massachusetts, and the surrounding area, we offer full-service commercial moving opportunities to all of our clients. Our team can provide you with all of the professional packing supplies you require so you can pack up your offices yourself, or we can offer you a full-service professional packing service to take care of all the details on your behalf. Our team has years of experience working with business relocation in MA, which includes dismantling structured furniture, cubicles, and workstations, as well as reassembling them again at the destination. Question #5 – What About Insurance? Contact our team of commercial logistics experts to learn more about all of the professional moving services and warehouse storage in Pocasset that we are able to provide. We are able to meet your needs, whether you are doing a simple corporate move, or a major business relocation in MA to anywhere around the world. We can provide you with a stress-free, damage-free moving experience, along with the moving protection services to give you peace of mind regarding your assets during the transition. Question #6 – Can You Do Specialty Moves? A specialty move that is done by moving companies in Pocasset, Massachusetts and all over the world, is considered to be a move that contains one or more of the following: high-value assets, sensitive equipment, items that are over-sized, odd-shaped, over-weight or otherwise difficult to move. We can coordinate your entire business relocation in MA, including temporary or long-term commercial storage in MA, for specialty or high-value moves. Our many years of experience has helped us to provide superior moving services to each and every client we serve. 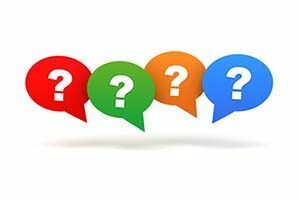 Question #7 – How Far in Advance Should I Schedule a Move? When it comes to commercial moves, the further advance notice you can give, the better. We do a lot of business relocation in MA and all the areas that we serve, so the sooner you can contact Plymouth Rock Moving & Storage about your move, the sooner we can start reserving trucks, assigning team members to your relocation, and ensure that everything is prepared in advance of your moving date. For more answers to all of your important questions regarding commercial moving and commercial storage in MA, please give us a call at 1-800-340-0995. Our team will be happy to meet with you and discuss your plans for business relocation in MA or anywhere around the globe. Call today and see why so many businesses have trusted Plymouth Rock Moving & Storage with their high value and sensitive commercial relocations in the Southern New England area.